Sideways, upside down, inside out, whatever terminology you'd like to insert here, my life has had quite a shuffle over the past month. And to tell you the truth, it feels as though it has been a year. Not in time, no. In the way that feel. I feel different. I feel calm. I feel at ease. I feel happy. There has been a shift. I won't delve into the details of what exactly went on over the past month, but I am now in a new home here in Maine. And, it is perfect for me right now. While a bit challenging at first, in the end, I am so very glad that this move happened. Not only because I'm in love with where I am now, but because there were some important lessons learned and growth had along the way. 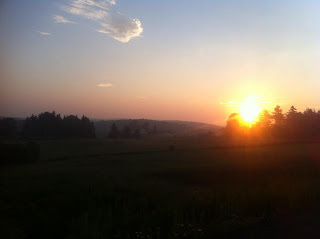 ﻿﻿﻿﻿Nestled in the lush woods, with views of rolling green hills, unique barns, sheep, and deer, I am resting easy and enjoying the sunrise and sunset like never before. My first night there, I stepped out onto the deck above the budding blueberry bushes to checkout the night sky. My roommate and I shut off all the lights so that we can see the stars more easily. What we saw immediately went onto my informal list of the 'top most incredible things that I have seen.' The sky was clear, stars bright and appeared closer than I can ever recall seeing them. I was awestruck and then I shifted my gaze below and saw hundreds of fireflies sparkling beneath us. It was magical. Purely magical. So here I am, going on my fourth month living in Maine. Wow, how very different my life is today than this time last year. Maine is serving a great purpose in my life. I believe wholeheartedly that this move was exactly what I needed. It has not all been beautiful, in the traditional sense of the word and it has not been all 'roses' and 'peaches,' nor has it been easy. There have been some struggles, some tears and some restless nights. Though through that, I have shown myself the strength that I embody, exercised the tools within me to carry me through some rough winds and came out stronger and more focused than I was before. While there were some struggles, there were also great breakthroughs. And where there were tears, there were also deep soul-baring laughs. And now I sleep, sometimes for nine hours at a time. One was rocky, dark, cold, damp and full of cobwebs. Clear, a bit sandy, some turns, subtle hills and full of sunshine. I chose the latter, and it was just that simple. 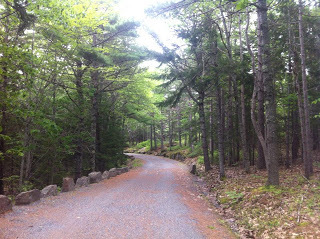 Many of you know that I have been in recovery from an Orthorexia, a lesser known eating disorder, since March of this year; and near the end of April I made my move to Bar Harbor, ME from Boulder, CO.
The harvest of my pain was its own peace and remedy. As low as I had sunk, I rose, faith restored from blasphemy. I work daily in maintaining a healthy recovery from Orthorexia. Yesterday was the first time that I weighed myself since mid-March. I am up 13 pounds and at a 'healthy/normal' BMI of 18.7 (according to the Centers of Disease Control). While emotional, this number ultimately makes me very proud. My yoga poses are becoming stronger, the muscles in my arms and legs are surprising the heck out of me and earlier this week I ran my longest run (non-stop running) of 5.7 miles. Think I could have been able to that a year ago? No. The list of those that I am grateful for continues to grow. You all know who you are, and I thank you each day. Looking forward to seeing how this chapter unfolds. Who better to appreciate you than yourself? Sure, it's nice to have others appreciate us whether it be with words, washing your car, or buying your oh-so-delicious iced chai on a Sunday afternoon but who are we with 24/7? Whose thoughts are we entertaining day-in-day-out? Whose body are we carrying through illness and wellness? Whose emotions are we embracing and battling each day? And, we deserve to appreciate ourselves. In fact, we ought to make it a priority. Men and women. Below are some of the ways that I appreciate ME. A free morning. What is a free morning? A morning in which you can do whatever you please that is free of obligation, free of timelines and essentially, free of duties. Your only duty being to do whatever it is that you want to do. This can of course, last all day if you have that luxury. There are no rules with this free morning. If you want to lay in bed for hours with your coffee, comfy throw, good book, and indulge in some homemade muffins- go for it. Or, perhaps you want to take this morning to go for a long walk and then enjoy a nice home-cooked breakfast with your tunes playing. Whatever it is, whatever makes your morning- yours. Do it. Seem impossible with your lifestyle? Create the change you need for that one day to make it happen. Call in a baby-sitter or whatever it is you need to allow for your free morning. Daily. Give yourself AT LEAST fifteen minutes of sunshine each day (providing it's available). Whether it's popping out of the office and taking a stroll, stepping outside and sitting on a bench or sitting in your own backyard, get yourself under the sun. I love coming home from the market with fresh flowers that I picked out for myself. A a simple bouquet that catches my eye and gives off that heavenly aroma. They are yours to look at (and smell) as reminder to yourself of just how much you matter. And what a difference they can make in a room! Place them in the room that you spend the most time in and stop to smell them and appreciate their beauty each day. I could go on and on about how much I love to walk. I've said for years, if I have adequate shoes and enough food, water, and lip balm, I can walk all day. And it still holds true. The benefits I find in walking are simply endless and, priceless. Walking is brilliant because it can both help to collect your thoughts or clear your mind. I find it very meditative. I've had many clarifying moments during a walk. And although I love to be walking somewhere in nature, such as alongside the ocean or in the mountains, a walk can be healing anywhere. In fact, I also love to walk in the city as well. Whether it's 10 minutes or 60, walking is a way to 'reset' your mind and undeniably one of the best exercises for your body. Don't you ever just want to 'be' ? You know, that tranquil state when you aren't juggling multiple things between your activities and thoughts. When you can hear your own breath and your not worried about what time you need to leave your house tomorrow to beat the construction traffic, or what you will make for dinner or the bill you need to pay that keeps escaping your mind. I'd love to say to do this daily, but I'll settle for an hour a week. This, does not replace or cut into your free morning, decompression walk, or Time under the sun! This, my dear ones, is an hour all on its own. An hour for you to get away from your engaging life and racing mind. The beauty of this hour, is that it may take many different forms. It could be lying still in shavasana with a few stones, or under a tree in the woods. Or perhaps slowly walking or maybe some light stretching (I recommend if you are doing any movement for your hour, that is intentionally slow and gentle). Music can of course be part of your hour (it is your hour after-all). If I have music on during this time, I love to listen to artists like Dave Matthews, Xavier Rudd, Howie Day, India Arie, Bob Marley or soft classic rock like Simon & Garfunkel & The Moody Blues or classical such as Bach & Motzart, depending on my mood. Skin is our largest organ. And it's the one that's exposed all of the time. And sometimes, out in that sun. Unfortunately, with those fabulous UV rays comes cause for concern. While your out getting your skin cream, pick up a quality SPF ;) I love Aloe Up, Resort Collection. Now, on to the skin cream. Our skin gets put through a heck of a lot throughout our lives . From scrapes, cuts, blemishes and sunburns, to sometimes more bothersome conditions such as eczema, bacterial infections, or fungal growth. Having well hydrated and smooth skin is one of the best feelings (IMO). And not just physically. When something is out of balance with our skin, it's not only annoying, it can also affect our mood and self-esteem. While, I recommend something that is natural, this is YOUR indulgence. So, choose something that not only makes your skin feel good, but makes you feel good, with a scent that you love (or unscented if you prefer). My indulgences?Artisana Extra Virgin Unrefined Coconut Oil, Nubian Heritage Indian Hemp & Haitian Vetiver and, L'occtane Shea Butter (their soap is heavenly also). Enjoy, indulge and celebrate YOU. Yep, this one is easy. Or is it? Maybe you're standing in front of your mirror and staring intently, or maybe you are just passing by and glance over. Whichever the circumstances happen to be, give yourself a genuine smile. And not one of those fake "hi stranger walking by on the side-walk smile's," a real "hey there beloved friend of mine smile's." If you feel silly, that's OK, do it anyway. But try, if I may suggest, to take a deep breath and really think about the love that you have for yourself. Think about something that you are proud of about yourself. Or something that you are really excited for that you did or are going to do such as buying your first car, training for a marathon etc. Don't have anything to smile about? Do it anyway. Every single day. One of those days, you will cross a chasm, and have something to smile about. 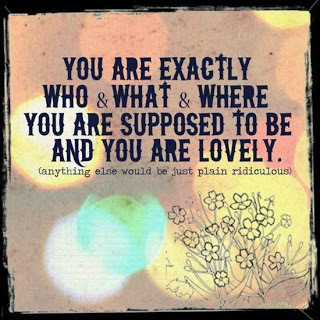 Point being, YOU are the one that is getting yourself through the day. 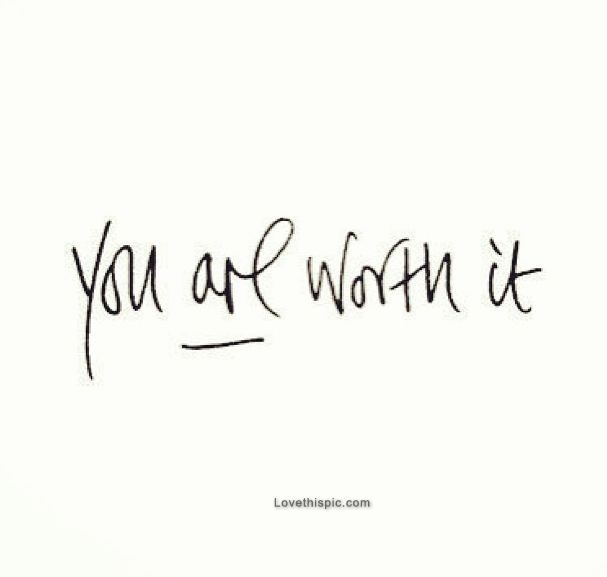 YOU are the one that crosses all of those checks off of your to-do list, accomplishes those goals (big and smile) and endures each hardship, each struggle, each obstacle. SMILE. You got this. I love this version of the song, Smile. It perplexes me that so many people go about life preparing wholesome, nourishing meals for their family and friends but when it comes to solo meals, it's cereal, take-out, or a blend of leftovers. You've worked hard, and you've earned that awesome meal! If you feel like you are on constant overdrive, start planning this meal days in advance and make it count. Get fresh ingredients. Make your favorite. Or, if your like me, do some experimenting and play around in the kitchen for a while. But most importantly, savor every single last bite. Appreciate each ingredient and the flavor it provides. And whatever it is, have zero guilt. This your meal. Your time. Your body, mind and soul. No, not 'reminder' notes (at least not the kind your thinking of) or 'to-do' lists. I am talking about notes to assure yourself of how amazing you are. Notes that help you check-in with yourself throughout your busy and perhaps stressful day. Think of them as mantras or affirmations. They can be brief, or long, the choice is yours. But use encouraging words and place them somewhere that you can see them easily like a post-it on your bathroom or bedroom mirror, on your dresser, your refrigerator, on your laptop or in your wallet. Do this weekly at a minimum, daily is even better. Start a collection. And when you feel it's time to move on, copy them down into a notebook so that you can go back and read them in the moments when life gets heavy. Those moments can come in as quickly as a storm, having that notebook can help to support you and bring you guidance. Another way that I use my notebook is in my yoga practice. If I don't already have a mantra that I working with that day, I will open it up to a random page before my session and allow that mantra to guide me in my practice. Have a little black dress that you bought last summer and STILL haven't had a place to wear it? Wear it tonight! Heck, wear it for yourself while you cook your wholesome meal! Or, wear it this afternoon while you cool down with a beverage (your honey may really appreciate it too ;)). And you too fella's! Do you have a nice blazer your bought and still haven't had the chance to wear? Throw on some jeans, nice (mmm Italian..) shoes, a white-tee, and your blazer and head out! Or, stay in. I mean really, who cares?!? This is all for you. YOU are the special occasion. Give yourself permission to boost your self-esteem no matter where you are going (or not going). Wear them at home, to the store, to a cafe, for a walk- wherever you are, wear those clothes. If you missed my two previous posts on my battle with orthorexia, you may view them here: My Battle with Orthorexia (first post), My Battle with Orthorexia: Epiphanies & Recovery, The move to Maine brought on a shift in gears for me. A healthy shift. Driving out here and now being here, I've been looking at food a bit differently. Nutritional therapy that I received before hand, helped with my new mindset. This has been a shift from thinking about food as a way to sustain me throughout the day, to food as FUEL. Just as I had to stop to put fuel in Europa (aka my Jetta), I have to continuously put fuel into my body as well. Seems quite simple doesn't it? It is. Instead of obsessing over the amount that I was eating or the specific ingredients, I just ate when I was hungry and didn't worry about the exercise that I was not getting. In all reality, driving in and of itself sucked the energy out of me and my body NEEDED and DESERVED the time off from cardio and lifting. Not only that, but the day that I moved out of my apartment, in a hurry, I slipped and fell on black ice, pulling a ligament in the back of my right (driving) leg. Coincidence? "Slooooooooow down Ashley," says the Universe. I had boxes of food with me for my cross-country drive as well as a cooler for berries, meat, hard boiled eggs etc. There was one that that I knew and that was that I didn't want to be caught without food. Looking back on it, it saddens me to know that in my restrictive food behaviors, I was not only restricting the intake of fuel for my body on a 'weight' level but on a holistic level. My nutritionist helped to bring this to light for me. When we are not giving our bodies the proper fuel (from ALL healthy food groups), we are not only effecting our physical appearance but our organs (including our brain), muscles, hormone levels, and a slew of other parts of anatomy that allow for us to properly FUNCTION. When that took hold in my brain, after I welled up with tears, I knew that my behaviors had to change for the safety and comfort of my LIFE. I eat when I'm hungry, I listen to my body and I try very hard to not dwell on things like why I am hungry when I ate just an hour ago, or why I am hungry before bedtime. I just listen, and respond to my bodies signals. This requires both balance and moderation. I constantly check-in with myself on my eating behaviors to gauge whether I am being obsessive or restrictive and WHY. Am I afraid of something? Is it a rational thought? Is it a replace in thinking? Is it 'My Eating Disorder Demon' talking? These check-ins are subtle. Keeping a food log, journal, counting calories or weighing oneself is generally NOT a good idea for a person struggling with or recovering from an eating disorder. This is true for me. I do not do any of those things. Eating foods in all food groups is something that have come to embrace (aside from dairy). In my past I have been quite an extremist. Oh, grains aren't good for you? OK, I will eliminate every single grain for the rest of my life. Oh, cinnamon is good for you? Great, I will start taking cinnamon every day until it makes me sick (even though I was indeed taking the 'recommended' dose). Oh nuts and seeds are amazing for you? Awesome! I will chow down on nuts and seeds all day long until those too make me sick. I did all of those things. And more. Not quite that casually, no, as I did do my research but that's just it. Instead of researching within myself, listening to what I needed; I acted upon outside research based on others experience whom may or may not have had any sort of credentials. My diet has been consisting of some non-glutenious grains (mostly rice), starches (like squash and sweet potatoes), meats (mainly fish, poultry, eggs and some red meat), all sorts of fruits and vegetables, some legumes and a few nuts/seeds (significantly less that I was). My diet is still clean, yet it is a healthy clean. A balanced clean. While I sincerely thought that I was embodying health before, what I was doing was actually depriving myself of the fuel that it needed to truly be healthy. Healthy for my mind, body, and soul. Where I once believed firmly that health began with nutrition, followed by physical exercise, I now believe that health in fact, begins with our state of mind. You know when you hear a quote, phrase, saying or what-have-you, over and over and you nod, appreciate it and then go on your merry way? Or maybe you really ponder it and try to allow it to sink into your being. Or perhaps you even say it aloud to yourself or others. Yet it isn't until that moment, that opening in the air where it really and truly resonates. Where the air feels less heavy, appears less hazy and suddenly you have found yourself stopped in your tracks. At least, that is how epiphanies usually feel for me. Especially these recent ones. And the timing of the following quote that my lovely brother-in-law sent couldn't have come to me at a more perfect time because it is exactly how I felt. That quote gives my goosebumps, even now. We can hear something for years and think that we understand the meaning, and perhaps we do understand yet the words are not truly integrated in the way in which we lead our lives. While hiking up to Cadillac Mountain and back last week, I had a few of these moments. When these 'epiphanies' came to me, it was as if I had never heard anything like it before in my life. I literally stopped mid-carriage road, looked out over the serene landscape around me, furrowed my brow and thought, "Wow..."If you (I) truly focus your energy into something, you can and will achieve it....huh.... so that 'saying' IS true." I continued to repeat the words over and over as I ascended up to the top of Cadillac. And it made me smile. It's like someone telling you your entire life that blueberries are a very tasty fruit. You understand what they are telling you, you may believe their words and you may even smell some blueberry jam and think "sure, yes, blueberries I think would be a tasty fruit," yet you never try them. And then one day, you taste them. You taste their subtle sweetness on your palate and feel a certain sense of refreshment that you hadn't felt with other fruits. Suddenly, you get it. You understand fully the essence of the blueberry. "...but to make them truly ours, we must think them over again honestly, till they take root in our personal experience." "Till they take root in our personal experience." That my friends, is the key. And perhaps the only way to have that happen is to act upon them - either consciously or unconsciously. Carrying them out in our lives Living them. Integrating them into our life. Rooting them. Now that I have written a novel on my experience on epiphanies, I'll give you all a little update on how life in Maine is going thus far. First of all, "the people" are genuinely nice. Everyone that I have come into contact with has been not only nice, but completely selfless. Not that "hey let me know if you need anything," but the "You be sure to let me know if you need anything at all whether you have questions about the Island, the town, a personal problem, you call me..." And this hasn't been from one person. This has been from just about every single personal that I have met here. Many have that 'Mainer' accent that some perceive as cold or harsh. On the contrary, they are gentle and sincere people. How very comforting it is to be immersed in a community that cares so deeply for others and for their island. I continue to be amazed by the expanse of scenery that can be seen on the island. Roads that I drive on almost daily, will still have me pulling over on the side of the road to run out and snap photos. The Inn that I am working with for the season officially opens tomorrow (May 17th). I've been in training the past few weeks, learning the 'ins-and-outs' of how they operate; which has been both humbling and fascinating. When I attempt to explain what I did as a 'Product Marketing Analyst' at my previous work, I have to laugh at the sheer vast difference in the work that I will be doing over the next several months compared to my previous work. There is no good or bad in that statement- it is simply wildly different. And it has been inspiring to learn and experience the change in my environment. "Why Maine?" And specifically, "why Bar Harbor?" Why after 15 years living along the Front Range of sunny Colorado did I decide to go to a small town on and island off the coast of Maine over 2000 miles away? In summer of 2011, I wanted to take a trip by myself. Somewhere that I could "reset" in the midst of my chaotic and confusing life. During this time I was writing a novel (one in which I may or may not still be writing...). In the novel, I have a couple of the characters from Maine. I decided then, that I would go there for my vacation. Not to research, no, it more or less just helped me decide where I would vacation. So, I pulled up google maps and with the index finger of my right hand, I circled around the state of Maine, zoomed in and then stopped and said "There, that's it. Bar Harbor on Mount Desert Island. That is where they (the characters in my novel) will be from and that is where I shall go." I didn't research the island before I went though I knew that I wanted to stay at a Bed & Breakfast on the ocean. I chose the Shore Path Cottage. I booked my stay and then booked my flight (yes, in that order). And off I went for 7 days that July. Epiphanies came, clarity sparkled and I felt at peace. Perhaps those were the aspects that I couldn't shake. 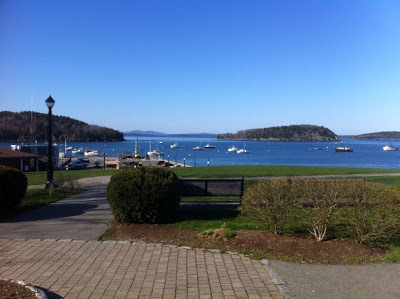 When I left, there were no thoughts that I would ever move to Bar Harbor, but I knew one thing: I would be back. February of this year, I found myself in a crossroads I had never experienced before. I knew that I needed a shift. A major, life altering, mind bending shift. Anyone that knows me, knows that I am generally a very happy, optimistic, lovin' life person. But, I was exhausted. Exhausted from pretending that I loved my life when I was struggling emotionally, physically, spiritually, and financially. Every aspect of my 'healthy' was...Broken. And, I wasn't asking for help. I had to not only admit this, but allow myself to feel it. And accept it. I then had to also acknowledge that happiness is a choice. Just as our thoughts are a choice. Working at a software company in Boulder, Colorado is dream to many. And it in many aspects, it was for me too. My time there was well spent. I learned, I grew and I met some amazing people that I still hold very dear to me. But after three years, my soul was telling me that there was something I needed to feed. Something I needed to explore. Or as I like to say, "feed the rat," an expression I picked up in Australia years ago. There were thoughts of going back to Los Angeles, exploring San Francisco, New York City, or Washington D.C. And even some job applications that went out. But nothing resonated with me and the thought of actually moving seemed so HARD. Daunting. It came to me one day that what I truly wanted, was to just be. I can't explain that element so I will leave it up to your interpretation. Once I let go of the fear of not having money and the pressure of making other people proud and doing what I thought I should be doing, the decision was simple. I needed a place where I could just be and I needed to stop searching. So I did. I stopped searching, stopped stressing about where I was working, what I was doing, my résumé, jobs, and what the next year of my life would hold. Soon thereafter, in my yoga session, it came to me. In hot yoga (triangle pose), "Bar Harbor. That is where I need to go. That's it." It was more clear than anything that had ever come to me before. In fact I saw a golden yellow aura around myself. That may be to out there for some of you. Anyway, that night, I began to put things in motion. That was in February. I made my way here the end of April. It took me 4 days and a total of 38 hours of driving to get here. Below you will find 12 YouTube links to video clips that I posted along the way. In the three months prior to my move, I found movers, secured a temporary place to live, secured a job, and the various other odds and ends that moving entails. And although the time of my life was stressful and painful due to other circumstances, the move itself came quite easily. About a week after my move-in, the movers arrived with the rest of my belongings. My oh my, how I adore my own bed. So, here I am in Bar Harbor. From an apartment (living solo, sans pets), in South Boulder, to a house in the woods on the ocean with three other people, a dog, two goats, and chickens. Three weeks ago, I was sipping my coffee-house Americano whilst checking my countless emails at the office, surrounded by technology. And this morning I was sipping my homemade coffee, outside in the sun whilst a goat attempted to eat my hair and then proceeded to climb into my lap, and spill my coffee. My how the times have changed. As they always will. But I am me. And in ME, I will be. My gratitude goes out to many for helping me along in this journey. They know who they are. I have no idea what the next chapter will be.